When preparing to buy a home you want to make sure you’ve got all your ducks in a row. One item is schooling and our free school reports will help guide you so you can make the best decision for you and your family. 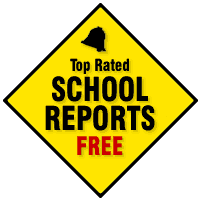 Everyone offers free school reports. We do too! Plus we offer more. As top Bakersfield and Kern County Realtors, we can tell you things about the schools that no report generated by a computer will ever know. Remember, we consult with people moving to the Bakersfield and Kern County, California area on a daily basis. Agents that know about their communities and more specifically the schools within them is what separates a good agent from an average agent. Let us send you the information you need so you can be better prepared in your decision-making process.